Two sources with the Kurdish peshmerga military force told CBS News on Monday that its troops in northern Iraq had detained an apparent American ISIS defector as he tried to make his way back to Turkey. The man, identified by Kurdish news organizations as Virginia resident Muhammad Jamal Amin, 27, was apprehended as he approached a peshmerga checkpoint near the Iraqi town of Sinjar. Reports suggested that the peshmerga initially believed the suspect was a suicide bomber, and that they fired warning shots at him, but that he then identified himself as former militant with the Islamic State of Iraq and Syria (ISIS) who wished to turn himself in. According to the reports, Amin had only been in the region fighting with ISIS for a couple months. He was in custody of Kurdish officials in the city of Erbil, where there is a large U.S. military pressence. Kurdish TV showed various identification and bank cards appearing to identify Amin, including a Virginia driver's license. 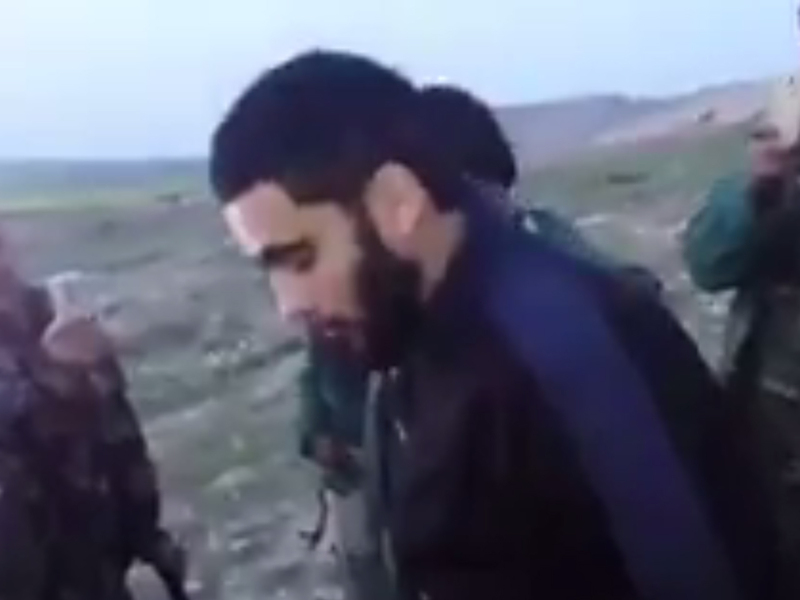 Also on Kurdish TV, a video was posted showing a bearded man, purportedly Amin, being questioned by a peshmerga commander. He says he's from the United States, and that his father is Palestinian and his mother from Mosul, Iraq. The U.S. Embassy in Baghdad told CBS News it could not confirm the detention of an Americna, indicating it had only recently become aware of the reports. U.S. intelligence officials believe about a dozen American citizens have going to fight with ISIS in Iraq and Syria.